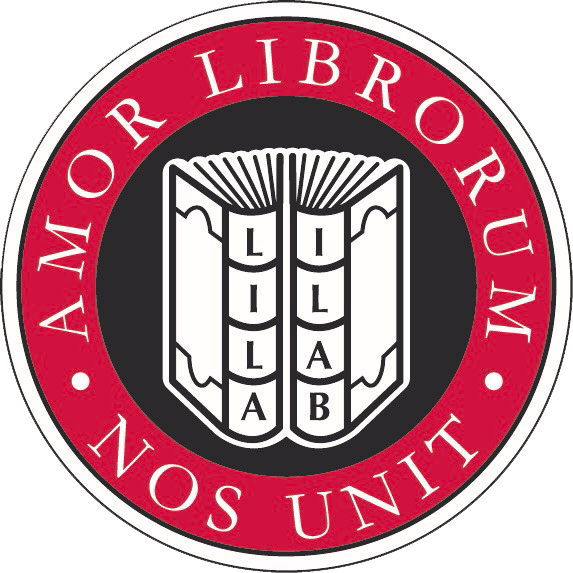 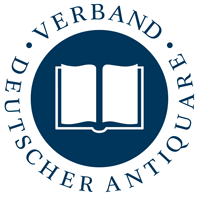 Armorial manuscript. 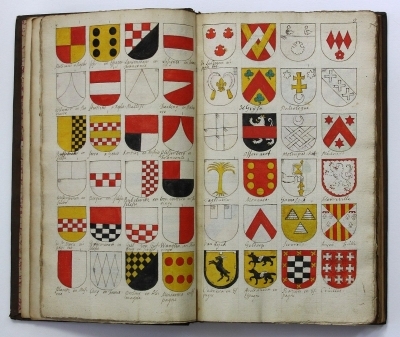 France or Belgium, n.d. (17th century) folio. 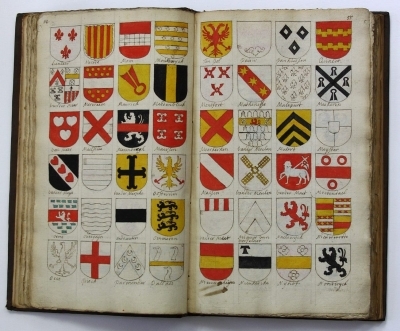 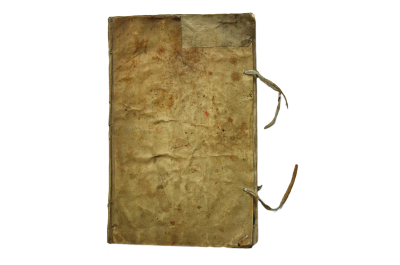 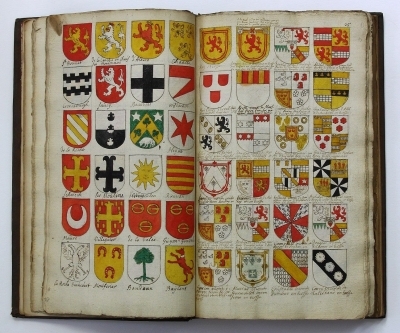 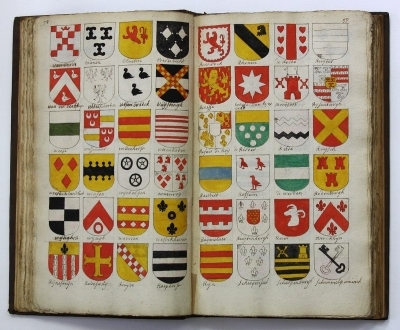 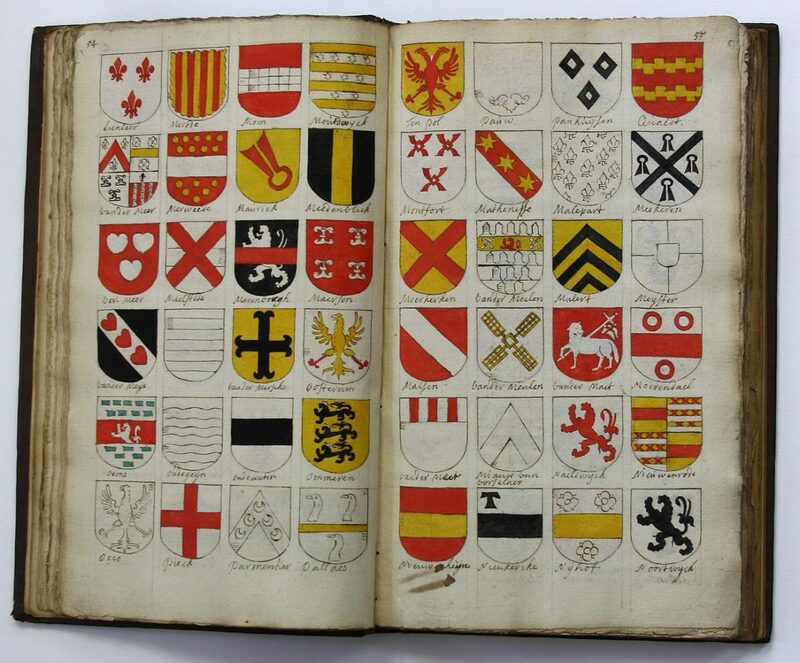 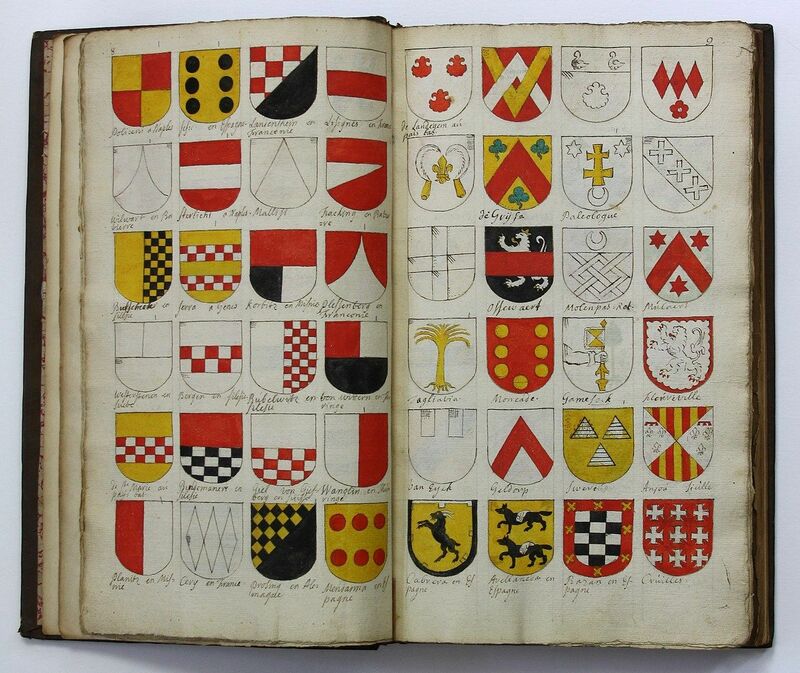 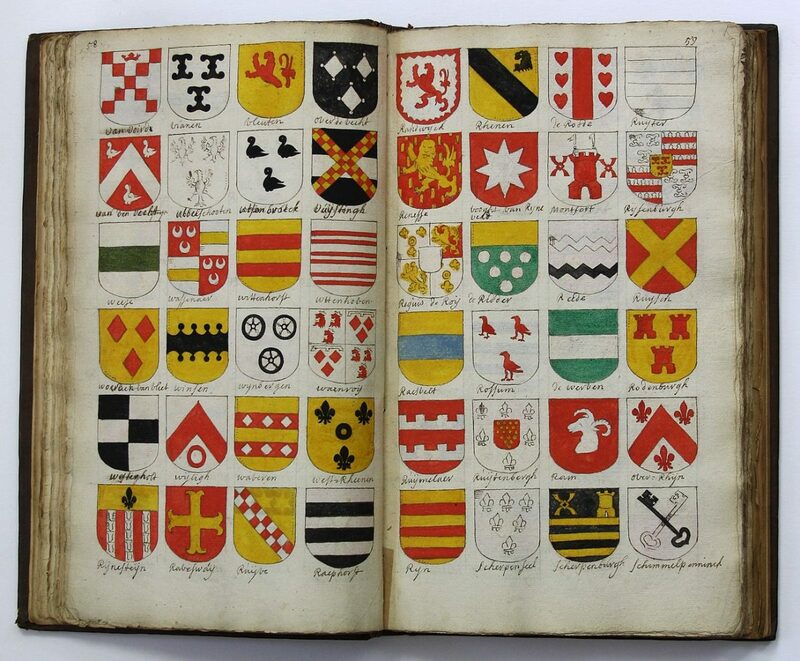 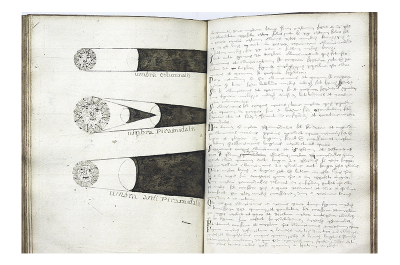 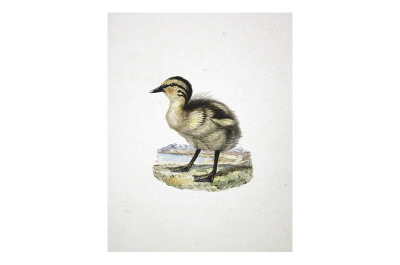 214 numbered pages with 4180 drawings of coat of arms, most of them hand-coloured, and further 950 preparatory drawings for coat of arms. 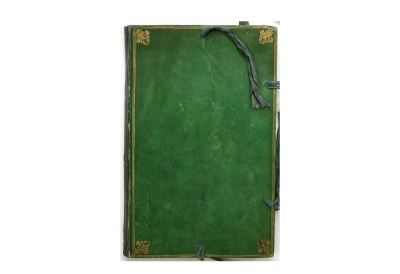 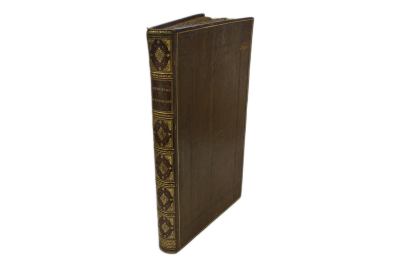 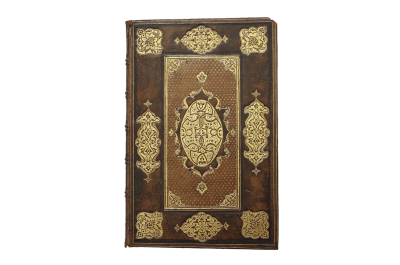 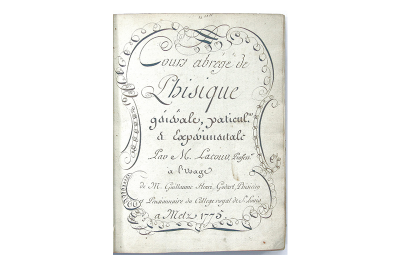 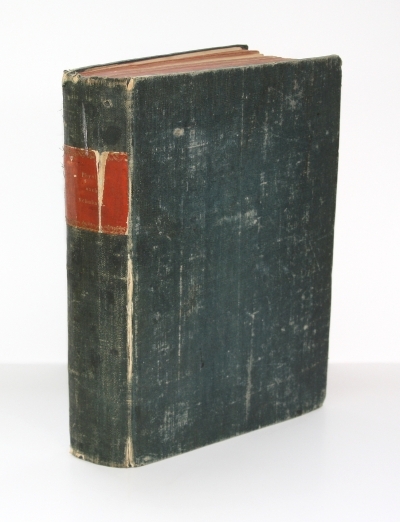 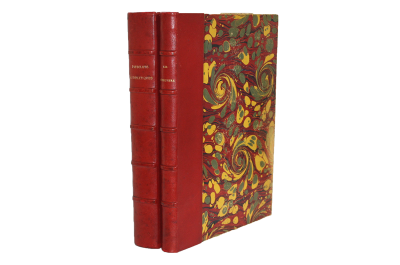 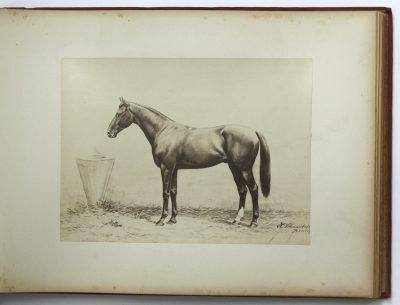 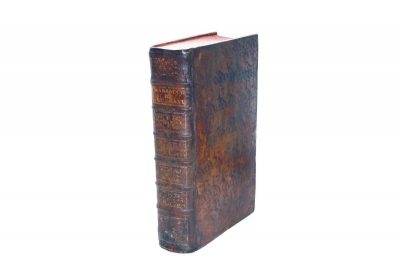 Bound with an albhabetical register from the 19th century on 33 unnumbered leaves. 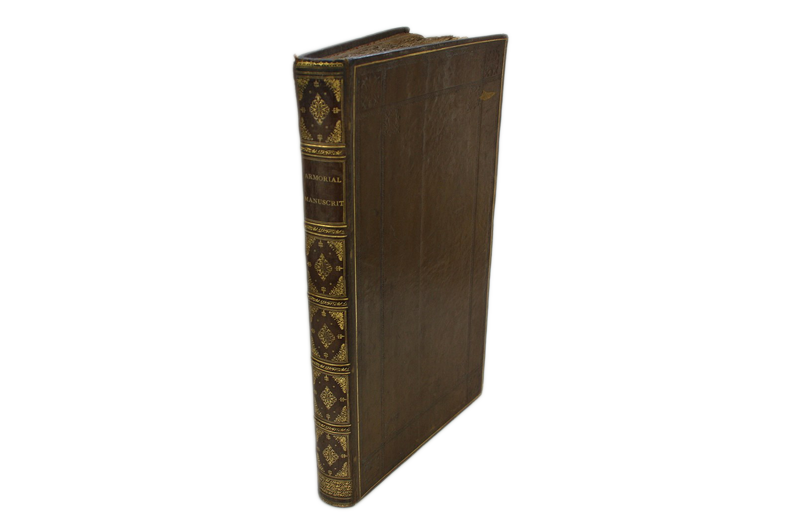 Blind tooled leather with gilt lettering and ornaments on spine. 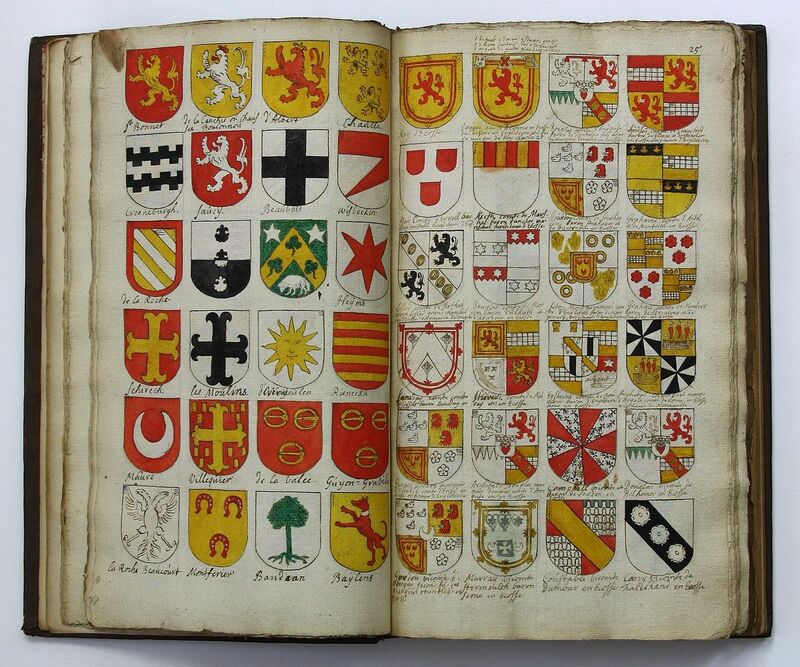 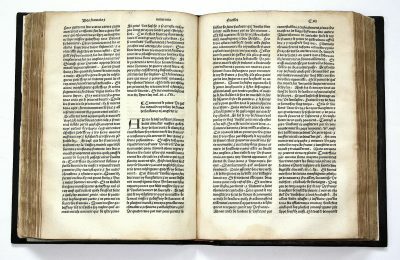 Extensive manuscript with coat of arms from all around Europe, but with a focus on the Netherlands and Belgium. 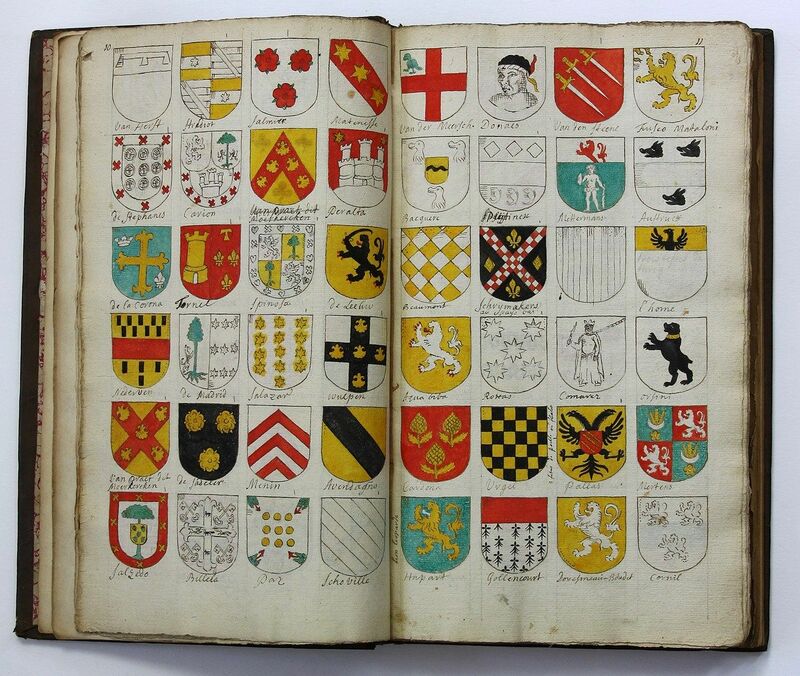 A very valuable armorial with a wealth of information.